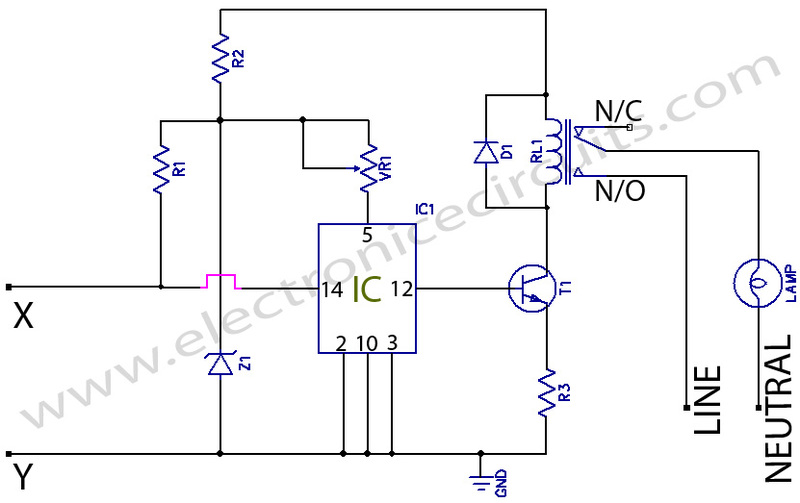 This circuit can be used for staircase lights or for any deviced which may require to be controlled from several different locations. 12 volts positive line connect to R2 and RL1 common line, Other to GND line. IC 7493 is wired as a bistable multivibrator here.Transistor T1 (SL100 or AC127) acts as a switch for the load. When there is a current to the base of T1, it will conduct and activate the relay which can be a 12V, 200-ohm or 9V 200-ohm type. VR1 is adjusted to get exact 5V at pin 5 of IC 7493. 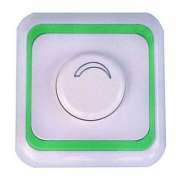 Any number of push button switches can be connected in parallel to points X and Y.By just pressing any of these switches, the circuit works and the relay operates. The lamp will glow to confirm the switching. When any of the parallel switches is pressed once again it will switch off the supply to the lamp automatically. Hi where the 12 volt power supply for the circuit to operate. Sorry for my mistake. 12 volts positive line connect to R2 and RL1 common line, Other to GND line.